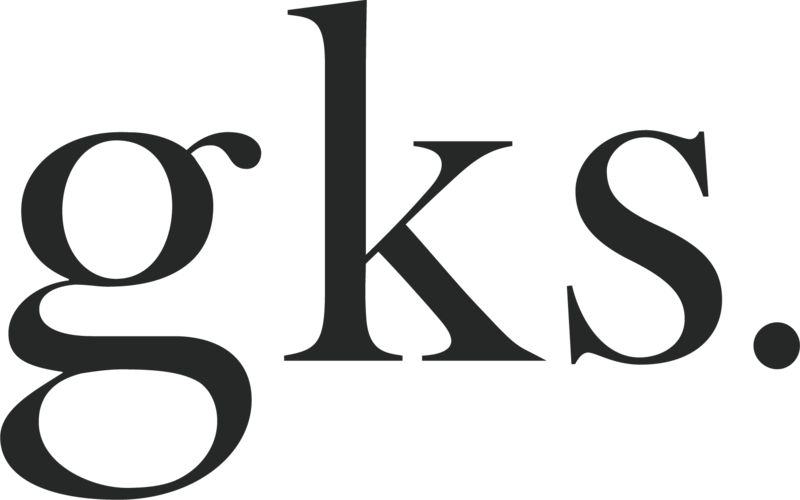 Before we start this post, we want to introduce a new little feature here on the blog. We call it Homemade Whole Food Staples. Unknowingly, we actually already started it a few weeks ago, with our post about homemade nut butter. 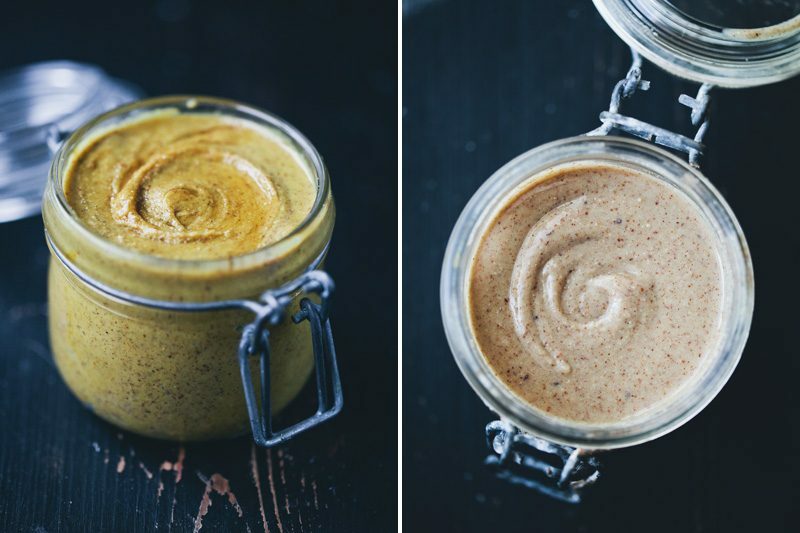 Some of you got in touch and told us that this was the first time you’ve made nut butter at home, so we realised that this could be a good opportunity for us (and you) to learn more about classic methods, recipes and pantry staples that are popular in whole food kitchens. 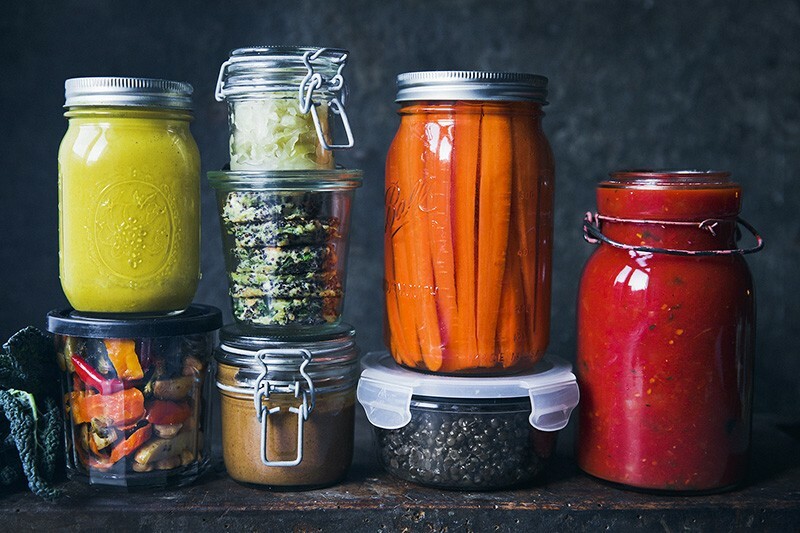 There is nothing wrong with cutting a few corners and buying jars and cans of staples from the store, but if you want to save some money, learn what really is in those jars and get a better hum about the kitchen basics, you might find this new feature interesting. Our hope is that we can show how recipes that many find too intimidating to try at home, really isn’t complicated at all. We are discussing sharing how to make your own vegetable stock, the ultimate pomodoro passata, mastering a sourdough and how to make homemade coconut yogurt. But we are also really interested to hear what you want us to try/share. Leave us a comment and let us know if there is something specific that you are curious to learn more about. Today we are talking fermented vegetables. It’s one of the healthiest thing you can eat but the whole idea of food that needs 3 weeks before its ready, scares most people from even trying to prepare it. Right? But please folks, stay with us on this one. Not only are fermented/cultured vegetables on most top-lists of trendy food 2015, but a large spoonful of homemade Sauerkraut is also TRULY delicious on top of a salad or inside a sandwich. Furthermore, the natural occurring probiotics in fermented food are great for your stomach and body. The whole 3-weeks-to-prepare-issue is more like 20 minutes of active work and then 3 weeks of waiting. Best of all, we are going to show you the most natural way of doing it, without any starters at all. It’s called wild fermentation, only 2 ingredients are needed and the method has been around for hundreds of years. But you can also add a bunch of different flavourings to it, like caraway seeds, ginger, garlic, beetroot, chilli, fennel or turmeric. Does this project still sound impossible? Why wild fermentation: Wild fermentation is a natural process in which we provide the perfect environment for nature to do its thing, so no starter is needed. All fresh fruits and vegetables contain enzymes and bacteria (lacto bacilli) which allows them to break down (ripen). As fruits and veggies ripen they go through an enzymatic process, essentially they digest themselves. When foods go off or rot, they have been exposed to oxygen. 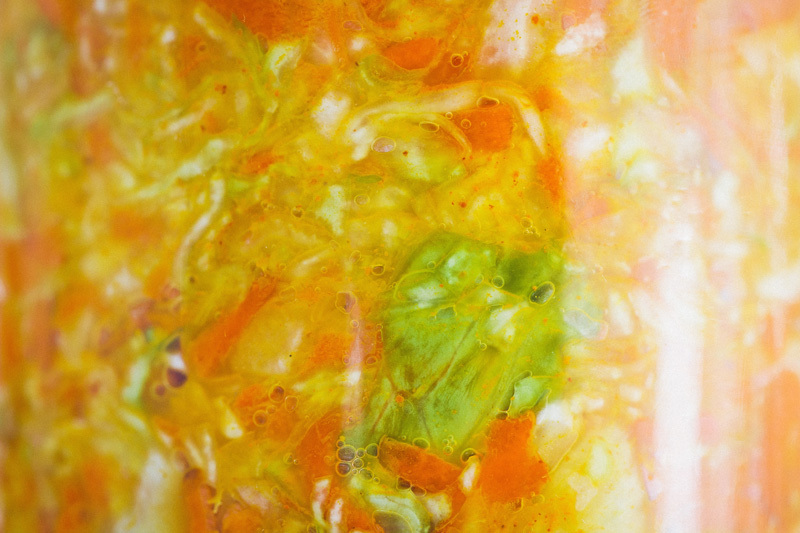 In a wild ferment, we allow the vegetables to digest themselves, in an oxygen free environment. The lacto bacilli in the vegetables, eats the naturally occurring sugars and then produces lactic acid and more lacto bacilli….and the cycle continues. Why eat healthy bacteria: Lactic acids can kill many strains of parasite and many other pathogens in the body purifying the intestines. 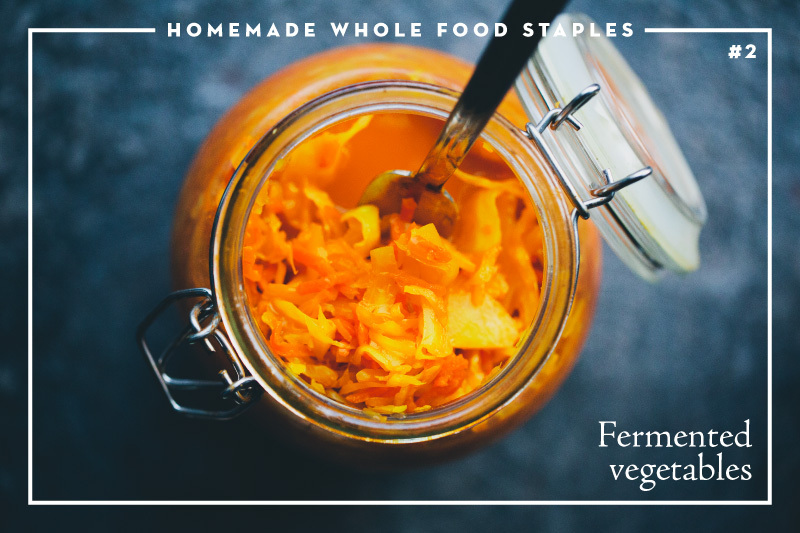 Fermented veggies increase the healthy flora in the intestinal tract by creating the type of environment for them to flourish in. Increases nutrient values in the vegetables especially vitamin C. The high fiber content in cultured vegetables help to clean the digestive system, removing undigested food and unwanted toxins. Fermented foods also facilitate the break down and assimilation of proteins. Makes about 2 huge jars. You can easily half this recipe if you prefer. Be sure to sterilise your jars before your start. 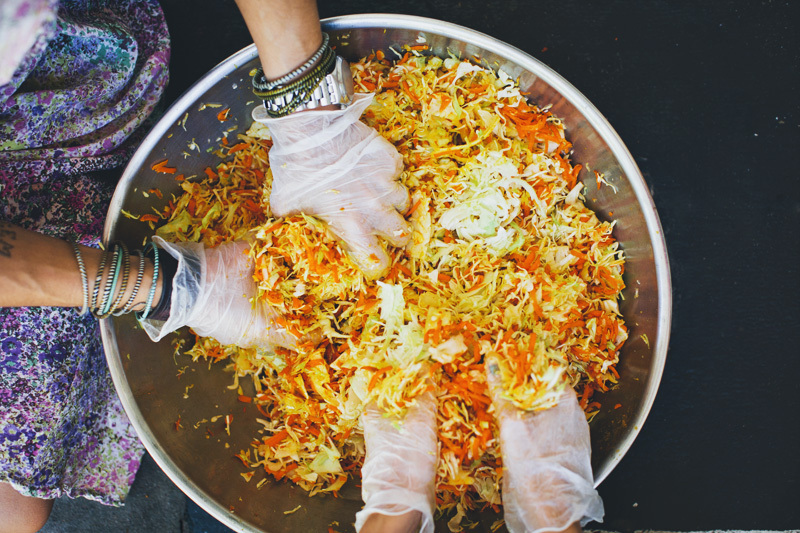 Wash the cabbage and scrub the carrots, then finely slice the cabbage and grate the carrots. Or use a food processor with a fine slicer attachment for the cabbage and rough grating attachment for the carrots. Place all ingredients in large mixing bowl. Use your hands (you might want to wear rubber gloves to prevent your hands to get stained by the turmeric) to mix and massage until it starts to get soft and juicy. The vegetables should release quite a lot of juice, if not, just add some more salt. Use a spoon or a tong to spoon the mixture into 2 large clean jars. 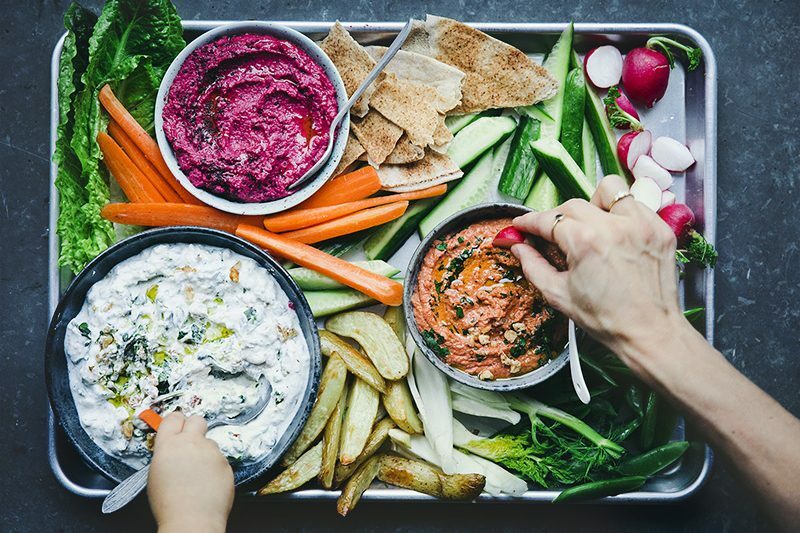 Pack it really tight to leave out all air, keep packing until the jar is full of veggies and the veggies are covered in juice (important). Leave some space at the top to place a whole folded cabbage leave on top, this is to prevent any oxidation. Close with an air-tight lid. During the fermentation process the veggies will expand and the liquid will try to come out, we put our jars in a bowl or a plastic bag for any juice that might drip from the sides. Leave the jars to ferment in room temperature for 2-4 weeks (depending on room temperature), 3 weeks is usually perfect. When ready, it should be softly textured but not mushy and have a fresh, spicy and acidic flavour. Discard the cabbage leave at the top and store the jars in the fridge. 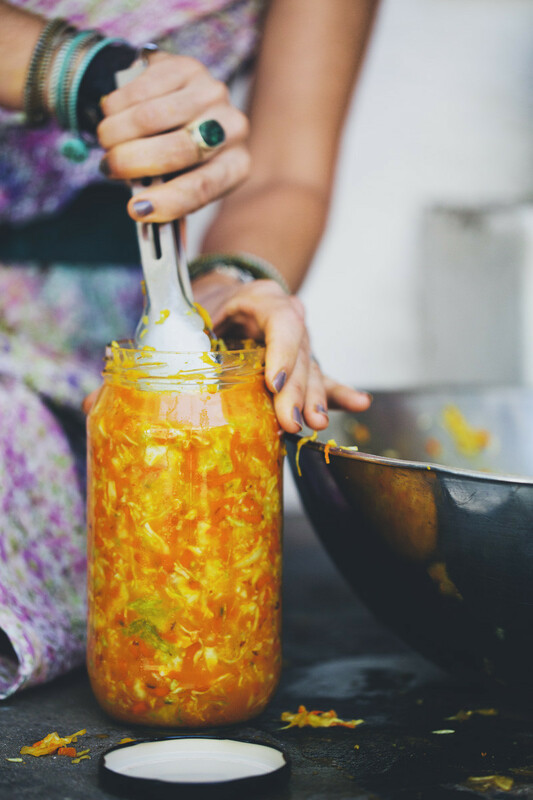 We usually divide the fermented vegetables in smaller jars and hand out to friends and family or keep it in the fridge. • If your veggies are stinky and leaky, then place the jars in a bowl and place everything in a plastic bag and close it. Then place in a cupboard and drain the water after about 3 days. • If the top is discolored or has a bit mould, don’t be alarmed just remove it and wipe around or just change the jars. • Use organic vegetables for fermenting and don’t wash or scrub to much, it can destroy the natural enzymes on the vegetables. Previous Asparagus, Fennel & Spinach Soup + Topping! I´ve tried to ferment red cabbage and beets a couple of times. The first time was a total disaster with a ruined baking tray and red fluid all over my poor kitchen floor. But I didn´t gave up and it was absolutely delicious when I finally succeded. 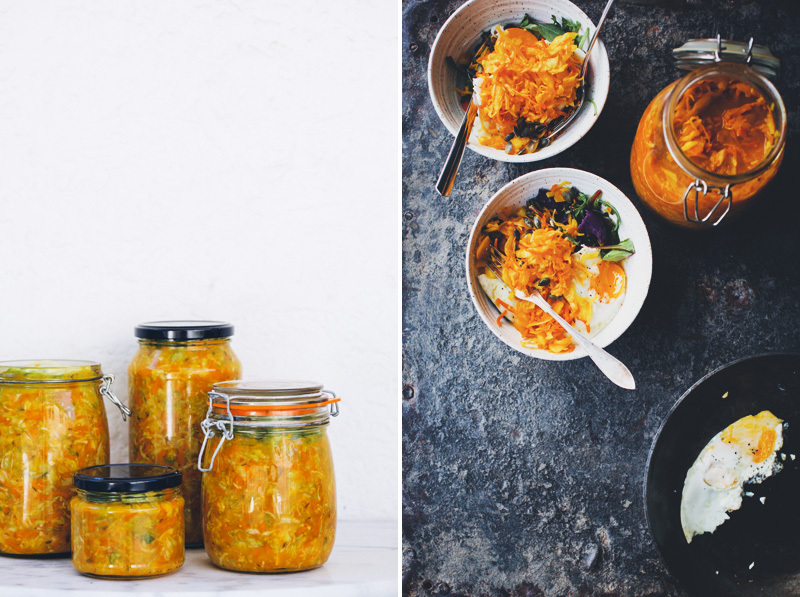 Thanks for some really good tips on fermentation and a beautiful recipe - I am so glad you have introduced me to turmeric, I love how you use the flavour in your food. Hope you´ll have a wonderful summer! Here's something to try to get over your dislike of cabbage. Cut a wedge,keeping the core intact so the leaves don't fall apart,brush with oil and BBQ it till coloured ,eat and enjoy. I live in Central America and it is very warm here. Our kitchen is basically outside in a screened area. Should I use any precautions in this hot and humid climate? I almost bought a huge book on fermenting food yesterday, but I am so busy with the garden! I am going to try this with Bok Choy instead of cabbage. I adapt everything I make to go along with my blood type diet. I am 70 and am very excited and inspired by your blog, videos, etc. Thank you to all your family!!! A post about sprouting would be great. How long do I have to wait with different sprouts before I can eat them - alfalfa in comparison to mung beans, for example? Can I eat skins or seeds that are attached with the sprouts or should i discard them? Hi guys, I somehow love kimchi but not sauerkraut very much but your recipe looks great. What do you eat it with beside sandwiches and Rice/grain bowls? Will make it and keep you posted how it came out. Thanks! Nice! I have made sauerkraut before, but love the addition of turmeric for extra anti-inflammatory benefits, this is great! I have been meaning to experiment with making Kimchi - would love to see your take on this recipe for a future post! Wonderful! I can't wait to hear your method of making coconut yogurt. Many of my attempts don't turn out too well. It just doesn't thicken very nicely. I love your idea of teaching us how to go back to de basics in the kitchen. I loved your nut butter post and it really motivated me to try it myself. It was the best nut butter I have ever had! Thank you for that! I'm definitely going to try this recipe as well! I've been following your blog for quite some time and I still cannot get over the fact that your photos are just so beautiful! 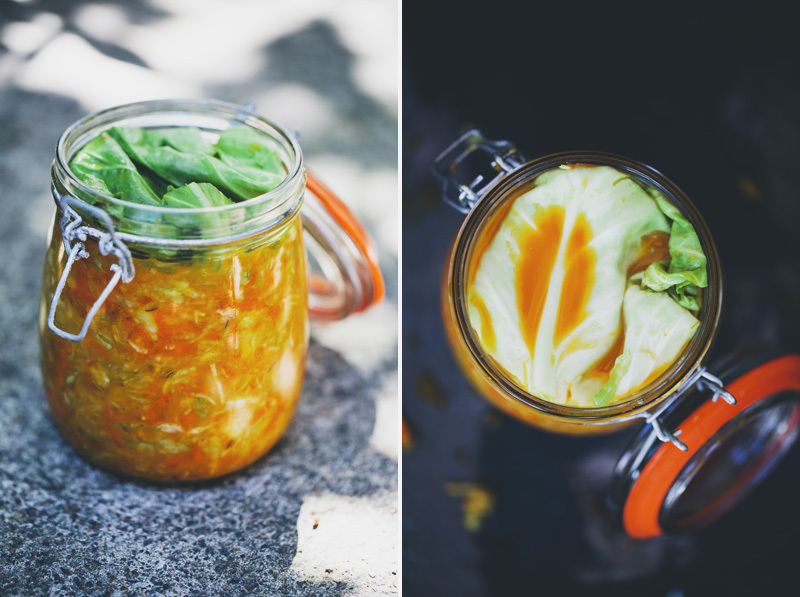 I have been aiming to experiment with fermented vegetables more. Thanks for introducing me to the idea of wild fermentation! Hi, I really like the idea of doing it at home.. But, I think that you should explain a bit further about sterilizing the jars since it is really important and it can get very ugly if you are missing something in that process. But, thanks for posting! I love the idea of wild fermentation, I will definitely try it. What about homemade mango chutney for the next one? Oh love that color, reminds me of an indian recipe my mom makes. This sounds so delicious. I love turmeric for it's flavor and gorgeous golden color. I'm so interested in trying this! Okay - no excuse anymore! I will need to do a little fermenting myself, you cannot be a true hippie foodie + major health geek with a degree in human nutrition an not ferment, I know!.. I'll start a batch right now, TAK! Hi Marianne, your website looks amazing. Is there any chance you can offer some of the posts or recipes in English? In particular the post on water kefir. Thank you! yes please, I would be interested in recipes in English also, thank you. I saw these fermented vegetables on your Instagram and have been patiently waiting until you released this post. So happy! It sounds amazing and looks so colorful! And I love that I only need two ingredients! Thanks!